It is now possible to temporarily change the filters when running a report. 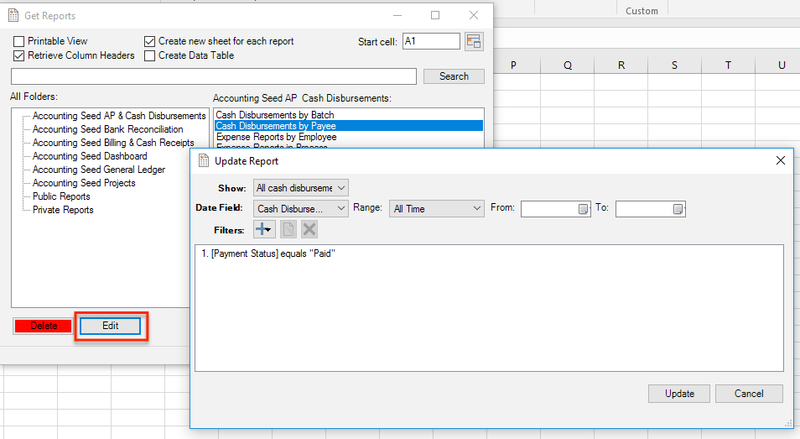 You can specify whether to insert/delete cells in the spreadsheet when refreshing data. Speed and stability enhancements. Smart drag-and-drop of fields into the query box is now supported in the Get Data dialog (SOQL Query).